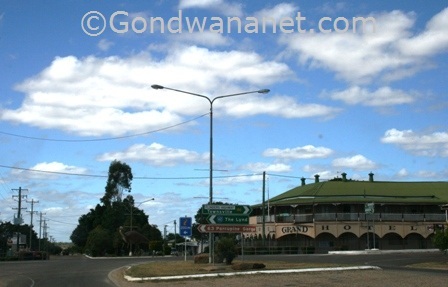 Hughenden is a small town in outback Queensland. 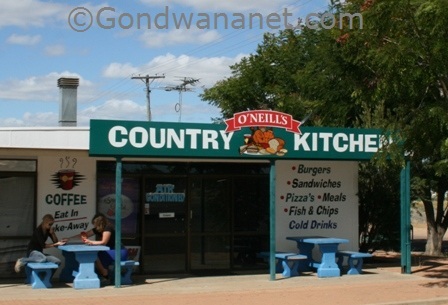 It is a quiet outback town west of the busier mining town Charters Towers. It is very nice and laid back if you like quiet country life. The town is most famous as one in the "dinosaur triangle" along with Winton and Richmond. 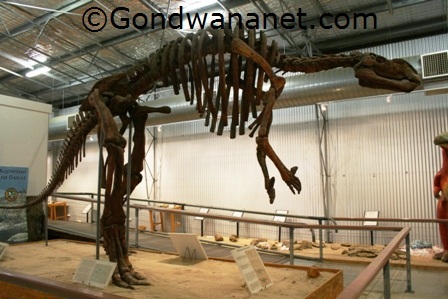 There is a big dinosaur statue in the main street, and in the same street is a museum shed where you can learn all about the local dinosaurs. This is also the town's souvenir shop and tourist information centre. The town has small supermarkets, a few restaurants and eateries, pubs, hotels and motels, and also a few caravan parks. 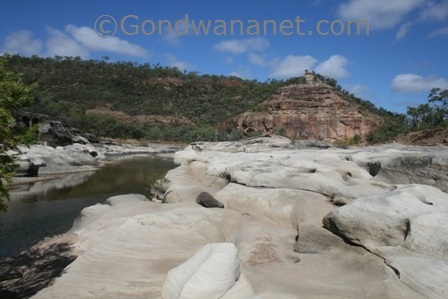 Outside the town is the beautiful Porcupine Gorge with some bushwalking tracks, and a national parks camping ground with basic amenities.